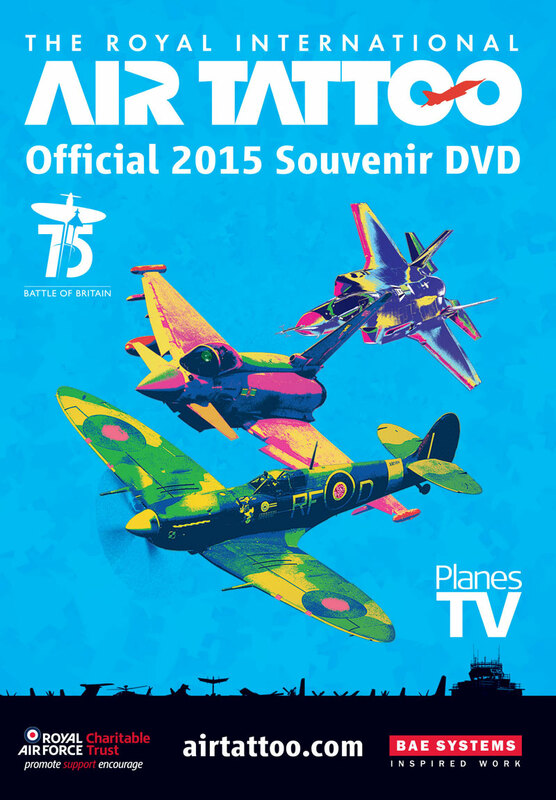 Other highlights featured on the DVD include the first ever European display by a Japanese military aircraft – the Kawasaki P1 and the UK display debuts of the Hellenic Air Force Demo Team Zeusand the French Air Force Ramex Delta. All the stars from ‘Britain’s Ultimate Pilots: Inside the RAF’are also featured – the high-octane RAF Typhoon role demo, the versatile and manoeuvrable RAF Chinook, the Battle of Britain Memorial Flight and, of course, the RAF Red Arrows. To order, visit www.airtattoo.com or call 0800 107 1940. On Sunday 8 November, the Royal Air Force Museum Cosford will hold a Service of Remembrance, paying respect to those service men and women who made the ultimate sacrifice during their tours of duty. Visitors who wish to pay their respects and reflect on the sacrifices made by our brave service men and women are invited to join the service, led by Padre Richard Clement, Station Chaplain RAF Cosford. Those attending will also be treated to renditions from the Cosford Military Wives Choir, who will perform for visitors on arrival and during the service. The service will take place in the Museum’s Hangar 1 and visitors are politely requested to assemble no later than 10:30am ready for the Service to commence at 10.45am. As well as readings and hymns, a Bugler will sound ‘The Last Post’, followed by a two minute silence. The Museum is open daily from 10am and entry to the Museum is FREE. For further information, please call the Royal Air Force Museum, Cosford on 01902 376200 or visit the Museum website www.rafmuseum.org. Due to the popularity of the summer Nimrod tours, the Royal Air Force Museum Cosford is re-introducing tours on selected dates in October and November. Tours on board the aircraft proved so popular with aviation fans that the Museum wants to repeat the offer, offering a limited number of tours for those who missed out first time round. Visitors during October half term and the Conservation Centre Open Week in November will have the opportunity to climb on board the Hawker Siddeley Nimrod R.1 XV249 and learn about its intelligence gathering role in the Royal Air Force. Intimate tours for groups of up to six people last approximately 15 minutes and visitors will learn about the history of the aircraft, hear about the crews on board and view some of its sophisticated surveillance equipment up close. Plus, tour guides will be on hand to answer any questions. Find out why this aircraft and its missions were so secret that even the existence of 51 Squadron who operated it wasn’t mentioned in official documents until 1992, after the end of the Cold War. Learn why, of the twenty six mission specialists on board, up to eight of them were language specialists and how the equipment on board allowed them to pass tactical, minute by minute information to allied aircraft during a raid. The aircrafts capabilities were such that even flying through friendly and allied nation airspace required diplomatic clearance. Mixed with a few light hearted stories of the crew on board the Nimrod, these fascinating tours led by Museum staff will have visitors wondering what really goes on in the skies above us. The Nimrod flew in both the Maritime patrol and electronic intelligence gathering role. Maritime surveillance, anti-submarine operations and intelligence gathering have been key tasks for the Royal Air Force for much of its long history. When the Nimrod was finally retired from service in 2011, the type had operated with distinction for over forty years in all these roles, and more. Nimrod R.1 XV249 is one of only four R.1’s from a total of 46 Nimrod’s delivered to the RAF. The R.1 was an electronic-intelligence gathering variant, three of which originally entered service with the RAF in 1971. They carried up to 29 crew members and were involved in several major conflicts in the latter part of the 20th and early 21st centuries. When an original R.1 aircraft was lost following an accident in 1997, XV249 was selected as a replacement and, after conversion, served with No 51 Squadron from RAF Waddington. The aircraft amassed over 18,000 flying hours during its service life and took part in operation Ellamy over Libya in 2011, thus remaining operational until its withdrawal from squadron service on 28 June 2011. Nimrod Tours are available daily throughout October half term week (24 October – 1 November) and during the Conservation Centre Open Week (9-14 November) 2015. Tickets cost £5.00 per person and tours last 15 minutes (max 6 people per tour). As the number of people per tour is limited, organisers are advising any interested visitors to pre-book their time-slot now via the Museum’s website www.rafmuseum.org/cosford. All children must be accompanied by an adult, tours are not recommended for children under the age of 5. For further information please call the Museum on 01902 376200. The Museum is open daily from 10am and entry to the Museum is FREE of charge. The busiest ever year at Airbourne has brought in the largest amount of public donations from generous givers, in the seven years since Airbourne introduced bucket collections at the international air show. The final total raised by Rotary Club volunteers was an impressive £36,415.82, part of which will assist in the funding of future flying displays at Airbourne, with another thirty percent of the total being donated to three local charities. The charities being supported by this year’s Airbourne bucket collections are Friends of Eastbourne Hospital; Kent, Sussex and Surrey Air Ambulance and Riding for the Disabled Association who will each receive £3641.58. In the last seven years a total of £45,989 has been donated through funds raised at Airbourne, to various charities connected to the local area. Eastbourne Borough Council’s Leader, Councillor David Tutt and Don Perman of Sovereign Rotary will be presenting each of the charities with a cheque during a special presentation held at the International Lawn Tennis Centre at 5.30pm on Monday 19 October, in which Rotary volunteers will also be thanked for their time and efforts in raising these vital funds. The Leader of Eastbourne Borough Council, Cllr David Tutt said “Without the generous donations of the public, future Airbourne displays wouldn’t be possible, so a very big thank you goes out to the thousands who donated whilst at the air show. This year the total donations collected exceeded the amount raised in 2014 by £1,107, despite the air show being torrentially rained off on 13 August, which is rather astounding and demonstrates a great public desire to keep Airbourne going. Organisers of Airbourne are encouraging people who attended the free air show in August to vote for Airbourne in the category of ‘Best Free Air Show’ in this year’s Airscene Awards. Votes can be placed at www.airscene.co.uk/airscene-awards-2015 until 29 November. Next month, the Michael Beetham Conservation Centre at the Royal Air Force Museum Cosford will be opening its doors, allowing Museum visitors behind the scenes access to aircraft conservation projects and the chance to speak with the team who make them happen. From 9-14 November visitors will be able to get up close to all of the current conservation projects undertaken by the team at Cosford, which include much more than just aircraft…. 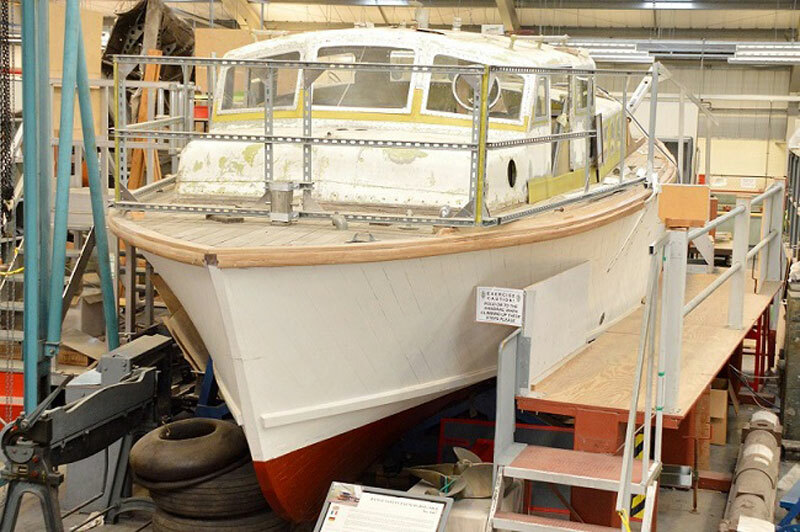 The Range Safety Launch (RSL) 43ft boat, number 1667 is one of the centre’s longest running projects and demonstrates the diversity of the role played by the Royal Air Force in protecting our nation. With four crew members and a top speed of 20 knots, RSL 1667 saw service in the Far East based out of RAF Seletar, Singapore. Whilst in Singapore, the boat was painted in tropical white livery and operated in support of RAF Shackletons and helicopters based at nearby RAF Changi on Search and Rescue in target towing, sonar practice and weapon recovery duties. In the 1960’s it was used to tow Sunderland’s to mooring buoys and transfer passengers to and from the aircraft. Allotted back to the UK in 1970, the boat spent a further 11 years based on the South Coast of England before its withdrawal from service in 1981 when it was purchased by a private owner. The RAF Marine Branch formed in 1948 and grew out of the Air Sea Rescue Service which proved invaluable in saving the lives of downed aircraft during World War Two. Part of the duties of the Marine Branch was to support the RAF’s marine bombing ranges and it was to fulfil this requirement that twenty seven 43ft Range Safety Launches were ordered. The Museum’s example was manufactured by Groves and Gutteridge at Cowes, Isle of Wight in 1956 and donated by a private owner in 1996. The majority of the conservation work on RSL 1667 has been carried out by Museum Volunteers. Work completed to date includes the restoration of the wheel house including the instrument panel and controls. The next steps will see the engine bay having its surface finish restored and the steering gear rebuilt and back operational. It’s been a busy twelve months since visitors last passed through the doors of the Conservation Centre. Significant progress has been made to another of the centre’s long term conservation projects, the Handley Page Hampden and regular visitors are sure to be astounded by the developments being made. “The Hampden’s tailplane, fin and rudder have been fully restored, with new fabric and new paint work. Technicians have incorporated as much of the original parts and materials as possible and work is now underway on the rear fuselage repairing damaged caused during its crash landing. This is one of only three examples of the type remaining so the significance of this project is huge. Repeat visitors will be able to view the on-going restoration of the Vickers Wellington. One of two remaining Wellingtons, the aircraft at Cosford is the only complete example of its type and is regularly visited by Mary Stopes-Roe, daughter of the aircraft designer Barnes Wallis. Since its arrival at Cosford in June 2010, the Wellington has been stripped of its linen outer skin so that work to repair small amounts of corrosion to the geodetic framework could take place. The wings are now free of corrosion and have been painted in a protective layer and the fuselage will soon undergo the same treatment. Following this, the aircraft will then be re-covered in Irish linen, doped and painted before going back on display at the RAF Museum’s London site. Initially a five year project, the Wellington is expected to be completed within the next two to three years. Admission to the Conservation Centre Open Week is £5.00 per person (Children under 16 are free and must be accompanied by an adult). The Conservation Centre will open to the public from the 9-14 November 2015 between 10.15am to 1.00pm. The Museum’s other hangars will be open from 10am until 5pm, entry is free of charge. For further information, please visit the Museum’s website www.rafmuseum.org/cosford or call 01902 376200. 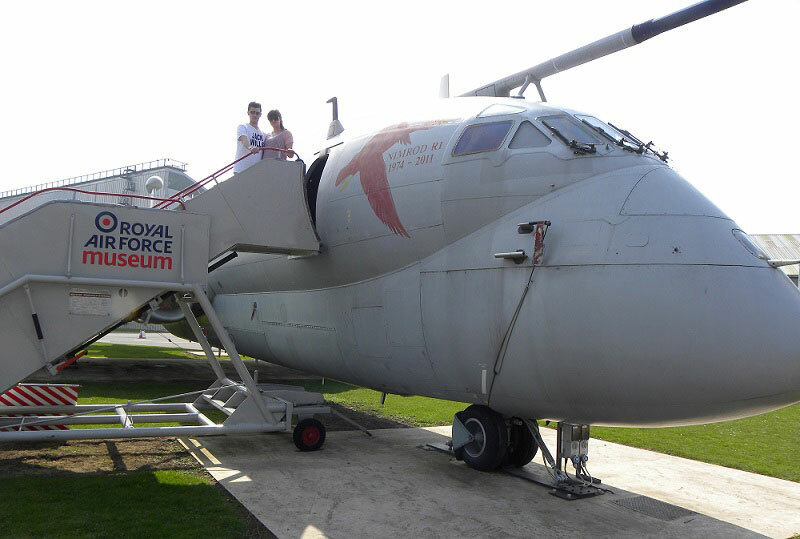 PLUS…in addition to the Open Week, visitors will also have the exciting opportunity to climb on board the Hawker Siddeley Nimrod R.1 XV249 during daily tours. Visit the Museum website for more details and tickets.